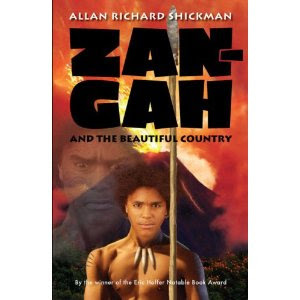 Zan-Gah is the youngest warrior from his tribe. He and the rest of the men are prepared to capture and kill the lioness. Zan-Gah becomes known as a fierce warrior when he kills the lioness. This gives Zan-Gah the strength to go out in search of his lost twin brother, Dael. His brother has been missing for a long time. Zan-Gah’s spirit won’t rest until he finds out what happened to him. Can Zan-Gah battle the great big jungle? These books are geared towards the younger reading populations and I found them to be appropriate for this age group. This book took readers on an exciting journey across the jungle. The main character Zan-Gah is very courageous and likable. The other characters and creatures that Zan-Gah encounters are interesting in a good way. I could picture this book being made into a movie or television series. This book is a quick read. Zan-Gah survived his battle with the Wasp men and found his brother, Dael. Dael and Zan-Gah are both all grown up. Dael is married. Despite being happily married and reunited with his brother; Dael has become depressed and not the same care free young boy that Zan-Gah remembered. Will Dael ever find that boy again or is he a lost cause? Zan-Gah and the Beautiful Country is book two. It continues this adventure with Zan-Gah. 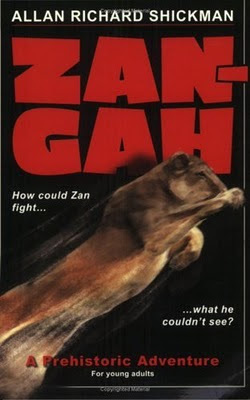 It is recommended that in order to fully enjoy this book that you read Zan-Gah: A Prehistoric Adventure first. I have to admit that while I did like this book, I enjoyed the first one just a little more. Though, this story is a little darker on an emotional level. Overall, author Allan Richard Shickman did a pretty good job on these books.